The Tsar had returned to G.H.Q. alone on December 25th, and three days later he reviewed on the Galician frontier the divisions of the Guard which had been concentrated in view of an imminent offensive. The absence of Aleksey Nicolaievich was a real sorrow to him, as he had been looking forward eagerly to presenting him to his Guard. He had then returned to Mohilev. Left; Aleksey and his father, Nicholas II, at Headquarters. Towards the end of the year 1915 the military situation of the Russians had greatly improved. The army had taken advantage of the quiet months which followed the conclusion of the great German offensive at the end of September, 1915, and, thanks to the enormous reserves in man-power at the disposal of the country, it had easily made good the very heavy losses it had suffered in the retreat. Once more the Germans found themselves baulked of the great prize they had promised themselves - a prize which their brilliant successes at the Opening of the campaign seemed to have assured. They had growing doubts about their ability to overcome the stubborn Russian resistance by arms, and by clever propaganda and cunning intrigues they were now endeavouring to stir up such disaffection in the interior of the country as would hasten, they hoped, the consummation so devoutly to be desired. But in the person of the Tsar they found an insurmountable obstacle to the realization of their designs. That obstacle must be removed. By assuming the command of his troops and thus staking his crown on the struggle, the Tsar had definitely deprived his enemies of all hopes of a reconciliation. At Berlin the authorities now knew that Nicholas II would stand by his allies to the bitter end, and that all attempts at a rapprochement would be broken against his unswerving determination to continue the war at any cost. They also knew that the Tsar was the sole bond between the different parties in the Empire, and that once it was removed no organised power would be capable of averting dismemberment and anarchy. The German General Staff therefore devoted itself unceasingly to ruin the prestige of the monarchy and bring about the downfall of the Tsar. To attain that object the essential step was to compromise the Tsar in the eyes of his people and his allies. Germany had in Russia many sources of intelligence and powerful means of action, and she devoted herself to spreading the idea that the Tsar was thinking of liquidating the war and making a separate peace. "You need have no fear. As I announced at the beginning of the war, I will not make peace until we have driven the last enemy soldier beyond our frontiers, nor will I conclude peace except by agreement with our allies, to whom we are bound not only by treaties but by sincere friendship and the blood spilt in a common cause." Nicholas II thus confirmed in the presence of his army that solemn compact which had been entered upon on August, 2nd, 1914, and renewed when he had become Commander-in-Chief of the Russian armies. The Government was anxious to give the widest possible publicity to the Tsar's speech, and had it printed and distributed among the armies and in the country districts. In January and February the Tsar continued his visits. to the front and G.H.Q. (it was at Mohilev that he spent the Russian New Year), and returned to Tsarskoe-Selo on February 21St, the day before the opening of the Duma. Five days before, the news of the capture of the fortress of Erzerum, which had so long been the backbone of the Turkish resistance, had caused great joy throughout Russia. It was certainly a fine success, and the offensive of the army of the Caucasus continued to make rapid headway. The morning after his arrival the Tsar carried out his intention of going with his brother, the Grand-Duke Michael, to the Tauride Palace, where the Duma was to resume its labours that day. It was the first time that the representatives Of the nation had received a visit from their sovereign, and in political circles great importance was attached to this historical event. It bore witness to the Tsar's ardent desire for closer Co-operation with the people's representatives, and the step was particularly warmly welcomed, as confidence in the goverment had been shaken as the result of the reverses suffered by army and the crushing charges made against the former Minister of War, General Sukhomlinov. The Tsar was received on his arrival at the Tauride Palace by M. Rodzianko, President of the Duma, who conducted him into the Catherine Hall, where he was present at a Te Deum to celebrate the capture of Erzerum. Then turning to the deputies, the Tsar expressed his great pleasure at being among them, and voiced his absolute conviction that in the tragic days through which Russia was passing they would all unite their efforts and work together in perfect harmony for the welfare of the country. His words were received with vociferous cheers. "The direct association of the Tsar with his people, that benefit which is inestimable and indispensable to the prosperity of the Russian Empire, is now strengthened by a tie which is still more potent. This good news will fill all hearts with joy even in the remotest comers of our land, and give fresh courage to our glorious soldiers, the defenders of their country." On that memorable day it seemed that the sovereign, the Ministers, and the representatives of the nation had one thought, and one thought alone - to conquer at whatever cost. The same evening the Tsar went to the Council of State, which was also resuming its labours that day. Then he returned to Tsarskoe-Selo, which he left next morning for G.H.Q. This was the time of the great onslaught on Verdun, and it was essential that Russia should intervene without delay in order to draw a larger portion of the German forces upon herself. It was decided to take the offensive. The attack was launched about March 15th in the Dvinsk and Vilna sectors, and at first it was crowned with success, but the progress of the Russians was slow, for the Germans offered a very stubborn resistance. There had been a thaw, the roads were almost impracticable, and the men had to wade through mud and marsh. The attack died down about the beginning of April and soon came to a standstill. Yet the diversion had borne fruit, for the Germans had found themselves compelled to send considerable reinforcements to the threatened sectors. Aleksey Nicolaievich had remained very weak as the result of the excessive haemorrhage which had so endangered his life in December. It was February before he was quite strong again, but the Tsarina had learned from experience, and intended to keep him at Tsarskoe-Selo until the return of fine weather. I was far from complaining of the Tsarina's decision, for the Tsarevich's education was suffering as the result of our long visits to the front. We did not return to G.H.Q. until May 17th. The Tsar was to remain there for a considerable time. A fortnight after our arrival - on June 4th - the great offensive of General Brussilov opened in Galicia. It was a complete triumph, and our successes were greatly extended in the following days. Under the pressure of the Russian army the Austrian front gave way and was withdrawn towards Lemberg. The number of prisoners was very large, and the situation of the Austrians in the Lutzk sector became highly critical. The news of this fine victory was received with immense enthusiasm at G.H.Q. It was to be the last cause of rejoicing for the Tsar. GILLIARD NOTE: I should like to record a slight incident at the beginning of spring when the Tsar was at Tsarskoe-Selo between his visits to the front. It illustrates the kind of feelings the Tsar entertained for Germany and tried to instil into Son. The Tsarevich was playing in the park that day, and the Tsar and the Grand-Duchesses were also there. He slipped behind his youngest sister, who had not seen him coming, and threw a huge snowball at her. 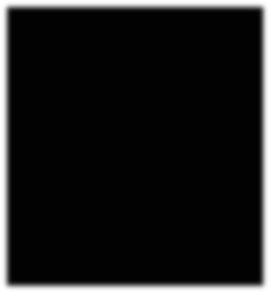 His father had witnessed the act. He called the boy to him and talked to him severely. "You ought to be ashamed of yourself, Aleksey! You're behaving like a German, to attack anyone from behind when they can't defend themselves. Cowardly. Leave that sort of behavior to the Germans". Since our return to Headquarters our life had followed the same course as during our previous visits, though I no longer gave the Tsarevich his lessons in his father's study, but in a little verandah which we had converted into a schoolroom or in a large tent in the garden, which was also our dining room. It was here that the Tsar took his meals after the hot weather began. We took advantage of the fine summer days to go sailing on the Dnieper. We had the we of a small yacht which had been placed at our disposal by the Ministry of Ways and Communications. From time to time the Tsarina and the Grand-Duchesses paid short visits to G.H.Q. They lived in their train, but joined the Tsar at lunch and came with us on our excursions. The Tsar in return dined with the Tsarina and spent part of the evening with his family whenever he could. The Grand-Duchesses greatly enjoyed these visits to Mohilev - all too short to their taste - which meant a little change in their monotonous and austere lives. They had far more freedom here than at Tsarskoe-Selo. As is so often the case in Russia, the station at Mohilev was a very long way from the town and almost in the open country. The Grand-Duchesses spent their spare time visiting the peasants of the neighborhood or the families of railway employees. Their simple ways and natural kindness soon won all hearts, and as they adored children you could see them always accompanied by a mob of ragamuffins collected on their walks and duly stuffed with sweets. Unfortunately, life at Mohilev grievously interrupted Aleksey Nicolaievich's studies and was also bad for his health. The impressions he gained there were too numerous and exciting for so delicate a nature as his. He became nervous, fretful, and incapable of useful work. I told the Tsar what I thought. He admitted that my objections were well founded, but suggested that these drawbacks were compensated for by the fact that his son was losing his timidity and natural wildness, and that the sight of all the misery he had witnessed would give him a salutary horror of war for the rest of his life. But the longer we stayed at the front the stronger was my ,conviction that it was doing the Tsarevich a lot of harm. My position was becoming difficult, and on two or three occasions I had to take strong steps with the boy. I had an idea that the Tsar did not entirely approve, and did not back me up as much as he might have done. As I was extremely tired by work in the last three years - I had had no holiday since September, 1913 - 1 decided to ask for a few weeks' leave. My colleague, M. Petrov, came to take my place, and I left General Headquarters on July 14th As soon as I arrived at Tsarskoe-Selo the Tsarina summoned me, and I had a long talk with her, in the course of which I tried to show the grave disadvantages for Aleksey Nicolaievich of his long visits to the front. She replied that the Tsar and herself quite realised them, but thought that it was better to sacrifice their son's education temporarily, even at the risk of injuring his health, than to deprive him of the other benefits he was deriving, from his stay at Mohilev. 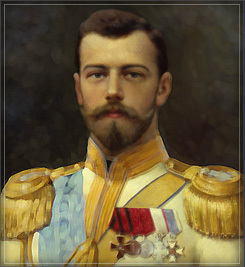 With a candour which utterly amazed me she said that all his life the Tsar had suffered terribly from his natural timidity and from the fact that as he had been kept too much in the background he had found himself badly prepared for the duties of a ruler on the sudden death of Alexander III. The Tsar had vowed to avoid the same mistakes in the education of his son. I realised that I had come up against a considered decision, and was not likely to secure any modification. All the same, it was agreed that Aleksey Nicolaievich's lessons should be resumed on a more regular plan at the end of September, and that I should receive some assistance in my work. When our conversation was over the Tsarina made me stay behind to dinner. I was the only guest that evening. After the meal we went out on the terrace. It was a beautiful summer evening, warm and still. Her Majesty was stretched on a sofa, and she and two of her daughters were knitting woollen clothing for the soldiers. The two other Grand-Duchesses were sewing. Aleksey Nicolaievich was naturally the principal topic of conversation. They never tired of asking me what he did and said. I spent an hour thus in this homely and quiet circle, suddenly introduced into the intimacy of that family life which etiquette had forbidden me from entering, save in this casual and rare fashion. In the days following I spent my time in a round of visits and renewing relationships which my journeys to the front had compelled me to neglect. I thus saw people in different strata of society in the capital, and was not slow to realise that far-reaching changes had taken place in public opinion in recent months. People did not confine themselves to violent attacks on the Government, but went on to attack the person of the Tsar. Since that memorable February 22nd on which Nicholas II had presented himself to the Duma in his sincere desire for reconciliation, the differences between the sovereign and the representatives of the nation had only increased. The Tsar had long been hesitating to grant the liberal concessions which had been demanded. He considered it was the wrong time, and that it was dangerous to attempt reforms while the war was raging. It was not that he clung to his autocratic personal prerogatives, for he was simplicity and modesty itself, but he feared the effect such radical changes might have at so critical a moment. When the Tsar declared on February 22nd that he was happy to be among the representatives of his people, the Tsar had spoken his real thoughts. In inviting them to unite all their efforts for the welfare of the country in the tragic days through which it was passing, he was urging them to forget all their political differences and have only one goal - victory and belief in their Tsar until the end of the war. Why did he not make a solemn promise that day to give the nation the liberties they asked as soon as circumstances permitted? Why did he not try to recover by his acts that confidence of the Duma which he felt he was losing? The answer is that those around him had made it impossible for him to find out for himself what was really going on in the country. The Tsar's visit to the Tauride Palace had given rise to great hopes. They had not been fulfilled, and men were not slow to see that nothing had been changed. The conflict with the Government was immediately resumed. The demands became more pressing and recrimination more violent. Frightened by the false reports of those who abused his confidence, the Tsar began to regard the opposition of the Duma as the result of revolutionary agitation, and thought he could re-establish his authority by measures which only swelled the general discontent. But it was the Tsarina who was the special object of attack. The worst insinuations about her conduct had gained currency and were believed even by circles which hitherto had rejected them with scorn. As I have said, the presence of Rasputin at Court was a growing blot on the prestige of the sovereigns, and gave rise to the most malicious comments. It was not as if the critics confined themselves to attacks upon the private life of the Tsarina. She was openly accused of Germanophile sympathies, and it was suggested that her feelings for Germany could become a danger to the country. The word "treason " was not yet heard, but guarded hints showed that the suspicion had been planted in a good many heads. I knew that all this was the result of German propaganda and intrigues. I have explained above that in the autumn of 1915 the Berlin Government had realised that they could never overthrow Russia as long as she stood united round her Tsar, and that from that moment her one idea had been to provoke a revolution which would involve the fall of Nicholas IL In view of the difficulties of attacking the Tsar directly, the Germans had concentrated their efforts against the Tsarina and begun a subterranean campaign of defamation against her. It was skillfully planned and began to show results before long. They had stopped at nothing in the way of calumny. They had adopted the classic procedure, so well known to history, of striking the monarch in the person of his consort. it is, of course, always easier to damage the reputation of a woman, especially when she is a foreigner. Realising all the advantages to be derived from the fact that the Tsarina was a German princess, they had endeavoured to suggest very cunningly that she was- a traitor to Russia. It was the best method of compromising her in the eyes of the nation. The accusation had been favorably received in certain quarters in Russia and had become a formidable weapon against the dynasty. GILLIARD NOTE: I was able to ascertain this for myself at the end of 1915. At the house of some friends one day I met a young officer whose political opinions were favorable to the Court. He told us with intense indignation that on the Tsarina's orders someone had taken gifts and money to the German officers being treated at the same hospital as he had been in. This envoy had not even entered the rooms occupied by the Russian officers. Astonished at his story. I asked for details. An enquiry was ordered. It completely confirmed the story I had been told, but it was impossible to trace the individual who had succeeded, by the use of forged papers, in making the authorities believe he had an official mission. Pure chance had brought me into contact with one of the many provocations organised by German spies with German money. The Tsarina knew all about the campaign in progress against her and it pained her as a most profound injustice, for she had accepted her new country, as she had adopted her new faith, with all the fervour of her nature. She was Russian by sentiment as she was orthodox by conviction. "I have several times heard the Tsarina charged with having preserved sympathies, predilections, and a warm corner for Germany when she was on the throne. The unfortunate woman in no way merited these strictures, which she knew of and made her so unhappy. Alexandra Feodorovna was German neither in spirit nor in sentiment. She never was." Her education, bringing-up, her intellectual and moral outlook were entirely English. She was English in appearance and bearing, in a certain element of reserve and Puritanism, in the intractable and militant austerity of her conscience, and, lastly, in many of her personal habits. In any case, that 'was all that was left of her Western origin. The basis of her character had become entirely Russian. In spite of the hostile legend which was growing up round her name, I did not doubt her patriotism. She had a fervent love of Russia." My residence behind the front also enabled me to realise how much the country was suffering from the war. The weariness and privations were causing general discontent. As a result of the increasing shortage of rolling-stock, fuel, which had been cruelly scarce in the winter, continued to be unpurchasable. It was the same with food, and the cost of living continued to rise at an alarming rate. On August 11th I returned to G.H.Q. thoroughly perturbed at all I had seen and heard. It was pleasant to find the atmosphere at Mohilev very different from that at Petrograd, and to feel the stimulating influence of circles which offered so stem a resistance to the "defeatist" spirit at work at home. Yet the authorities there were very concerned at the political situation, although that was not so, obvious at first sight. Aleksey Nicolaievich gave me a very affectionate welcome when I came back (he had written to me regularly while I was away), and the Tsar received me with exceptional kindness. I could thus congratulate myself on the result of leaving my pupil for some time, especially as it might have been a false step, and I took up my duties again with renewed energies. My English colleague, Mr. Gibbes, had meanwhile joined us, and as M. Petrov remained with us, the Tsarevich's lessons could proceed practically regularly. At the front the fighting had gradually died down in the northern and central sectors. It continued only in Galicia, where the Russians were still driving the Austrians before them, and their defeat would long since have become a flight if they had not been supported by a large number of German regiments. The campaign of 1916, however, had convinced the Russian General Staff that they would never break the resistance of the enemy and secure final victory so long as they suffered from so great a lack of artillery. Their inferiority in that respect prevented a thorough exploitation of the successes gained by the courage of the troops and their numerical superiority at the beginning of each attack. There was nothing for it but to wait until the material promised by the Allies, the delivery of which had been delayed by difficulties of transport, was ready and available. The Austrian defeats had had a very great effect on Rumania. She was more and more inclined to associate herself with the cause of the Entente, but she was still hesitating to enter the arena. The Russian Minister at Bucharest had had to bring strong pressure to bear to induce her to make up her mind(It was only subsequently that I learned that, to overcome the resistance he met with at Bucharest, the Minister for Foreign Affairs, Sturmer (who had succeeded Sazonov), had promised that Russian troops would be sent to Rumania. He had not referred to G.H.Q. first). On August 27th Rumania at length declared war. Her position was very difficult, as she was on the extreme left flank of the immense Russian front, from which she was separated by the Carpathians. She was threatened with an Austro-German attack from the north and west, and could be taken in rear by the Bulgarians. That is exactly what happened, and the beginning of October marked the beginning of the reverses which were to end only with the occupation of almost the whole of Rumania. As soon as the danger was apparent the Russian General Staff had taken steps to send help to the Rumanian army, but the distances were great and the communications extremely defective. Nor was Russia in a position to reduce the effectives on her own front to any serious degree, for in case of urgent necessity she would have found herself unable to retrieve the divisions sent to Rumania in time. Under pressure from the Tsar, however, all the available reinforcements had been directed there. The question was whether these troops would arrive in time to save Bucharest. We returned to Tsarskoe-Selo on November 1st. The impression made by the Rumanian disaster had been great, and the Minister for Foreign Affairs had been held responsible. At the beginning of the year Sturmer had succeeded Goremykin as President of the Council of Ministers. His appointment had been badly received, and he had simply made one fault after another. It had been as the result of his intrigues that Sazonov, who had rendered such great services as Foreign Minister, had had to resign, and Sturmer had hastened to take his place while remaining President of the Council (history will one day settle what part Sturmer played. If he did not actually work for a rapprochement with Germany, though everything seems to show that he did, he none the less did his country irreparable harm through his criminal negligence and utter lack of scruples).